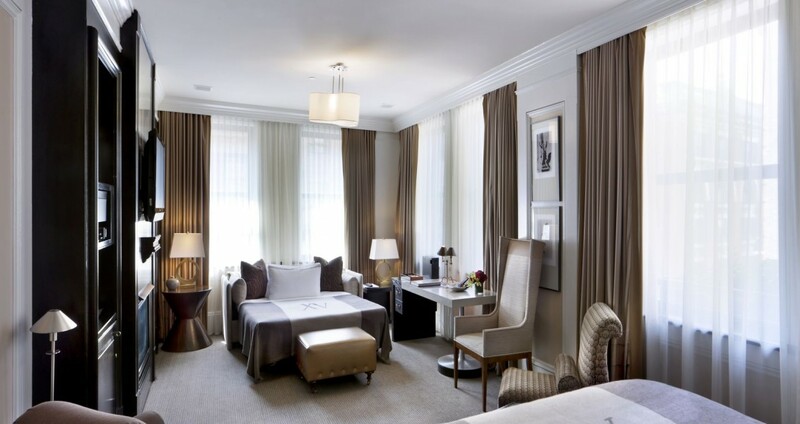 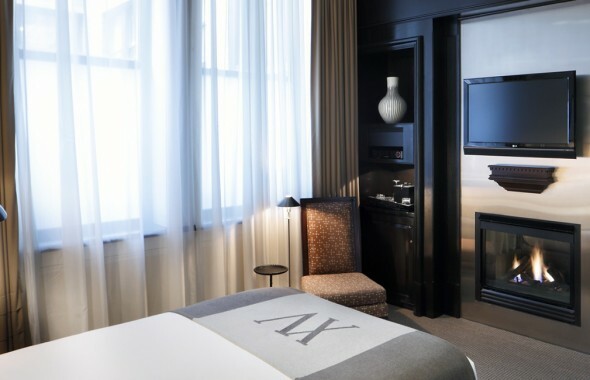 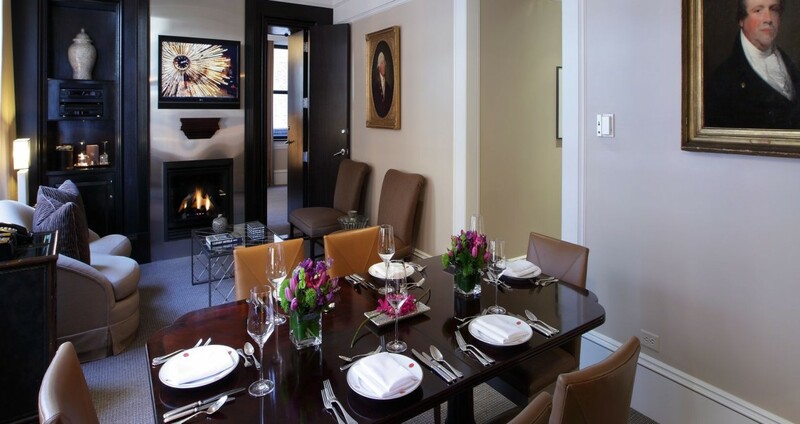 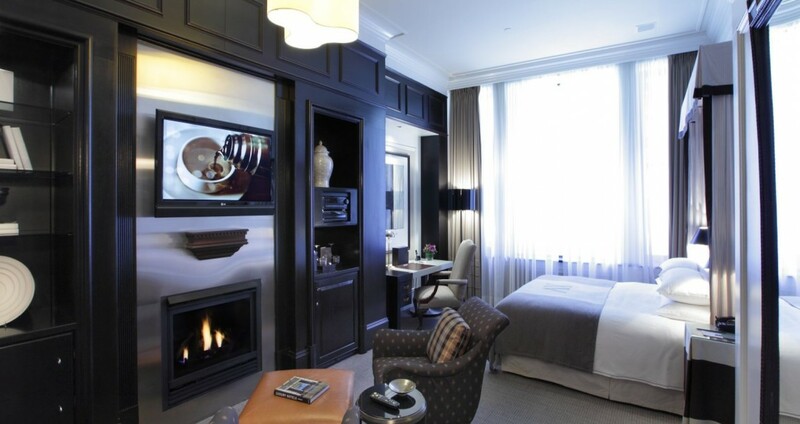 The Gilbert Stuart Suites are approximately 1400 square feet – this is the ultimate luxury accommodation. 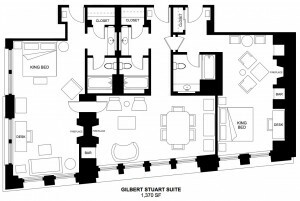 This two bedroom suite features two (2) Studio Rooms combined with a separate Parlor Room which has a dining/boardroom table that can accommodate up to twelve people. 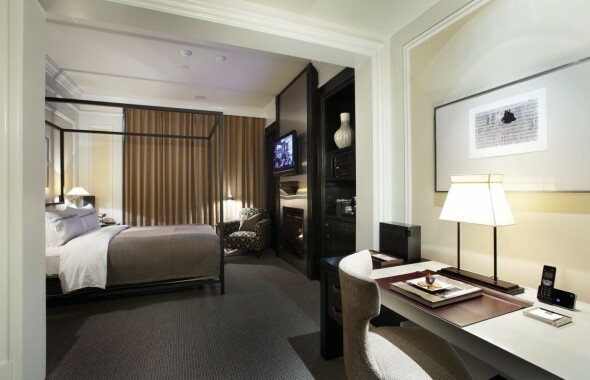 All three rooms have separate imported marble bathrooms with a rainforest shower and whirlpool tub combination. 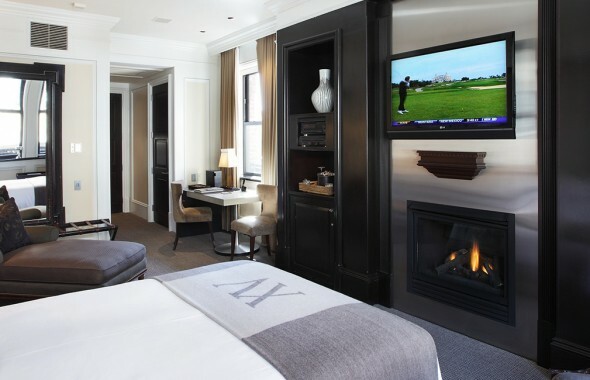 Both bedrooms are equipped with King beds.